Fax has managed to bring businesses and people closer since 1843. However, in its initial stages of introduction it was seen as a “mystical object” where large amounts of documents could be sent electronically, but it has also seen its fair share of strange objects attempting to pass through it. Here are five weird questions that Rinkworks compiled from technicians who have been asked about fax, with equally strange objects that people have attempted to send through. Another customer struggled to send any of his faxes, but to the technician’s discovery, the customer had constantly placed the documents in front of the screen before hitting the “send” key. A customer wanted to send what they considered “sensitive information” to another person. The receiver only received the cover page and a blank page. The sender had folded the paper in half, placed it in the machine and hit send. A technician who ran a computer shop in the 1990s received a phone call from a secretary who wanted the fax machine fixed because of a jam, this needed to be done before her boss arrived back from a trip. The technician found a ¼ melted disk wrapped around the rollers. Her explanation was that her boss had requested for the disk to be faxed to him. A technician asked a customer for a “screen shot” to be sent through fax. The technician received a fax of a photocopy of a Polaroid picture of her screen. These are just a few of the funny mishaps that technicians working with the fax machines have had to deal with over the years. 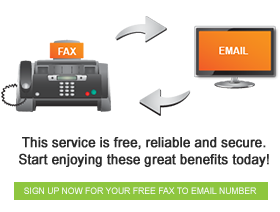 When you look at it this way, fax to email is simply the only way forward!